Amazon Web Services (AWS) has debuted a new service geared toward enabling workforces to access internal web sites and applications from mobile devices, without connecting to VPNs or using custom browsers. Dubbed WorkLink, the fully managed service requires end users to download an app in order to enable access to internal content using existing browsers on mobile devices, with IT administrators determining what content is made available. AWS then delivers a non-cached graphical representation of the web content to users requesting it. The goal with Amazon WorkLink is to remove the hassle of building and maintaining new infrastructure and software deployments to allow for secure access to internal content on authorized mobile devices, outside of a firewall. Amazon WorkLink touts its ability to reduce information loss or theft thanks to the content never being stored or cached on devices. WorkLink customers pay $5 per active user per month. With existing solutions, enabling access usually calls for IT administrators to invest in and deploy both VPNs (to ensure secure connectivity) and mobile device management (MDM) software to both configure devices and control user access. WorkLink removes those barriers, providing convenient access to critical content for workers, while offering greater security, the company said. Amazon WorkLink can be configured directly from the AWS Management Console, and works with SAML 2.0 compliant identity providers, including Okta and Ping Identity. The app supports devices running iOS 12+, with Android 6+ availability coming in February, and works with Safari. Chrome support is expected soon. 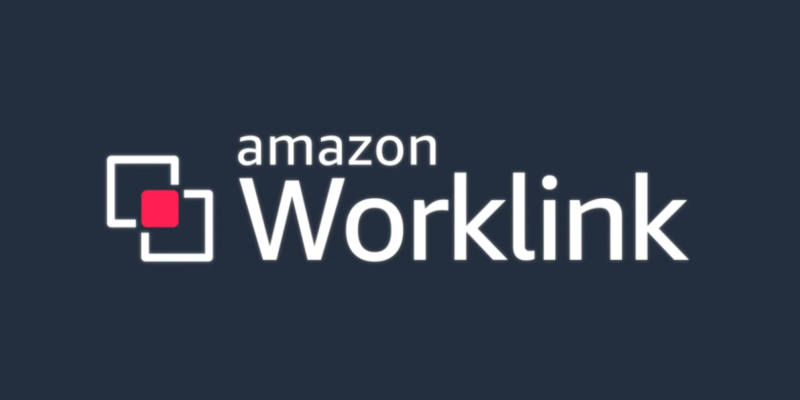 Amazon WorkLink is available now in North America and Europe. For more information, visit aws.amazon.com/worklink.